First of all, Syntactic Sugar is a syntax that make a language easier to understand and more readable, it makes the language "sweeter" for us. It also means that some "new" features of ES6 are not really new because ES6 is trying to simplify the syntax to make things easier for us. So instead of writing the your code using the old tricky way, you'll be able to code in a the simpler way, with sugar syntax. Below is the new syntax to create classes. You will feel familiar to this way if you come from a Java background or other OO language. project.start(); // "Project Journal starting"
All the methods you declare in a class will be added to the prototype of the class. This is how I would create a subclass of Project, called WebProject and inherit the attributes and methods from Project. webJournal.start(); // "FrontEnd Journal starting"
Notice that in my WebProject constructor, I invoke the Project constructor and then I can make use of its attributes and method. This is the structure of our app. The Project and the WebProject classes are stored in application.js. Let's separate out the arrayToString() function from the application.js and put it into the module modules/helpers.js, so we can re-use it in other places. What else should I know about ES6? Now, how does let work? Let's modify the same example and introduce let in it. As let is inside a block, name is only seen inside that block. In this case, as let is referencing a previously declared variable, the value "Rafael" is valid only inside the block. Outside the block the value of name is "Hey". In summary, var is function-scoped and let is block-scoped. ECMAScript 6 also brings these amazing features you might want to take a look: Map, WeakMap, generators and Proxies. When will I be able to use ES6? Some ES6 features is also available in Node JS. 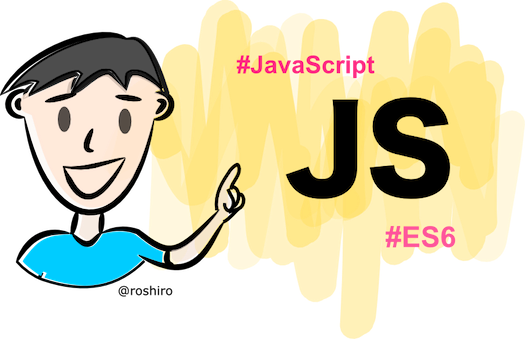 Check out Alex Young's blog post on ES6 for Node to get started. Now, for server side development using Nodejs, ES6 is already a reality as many features are already present in V8.